Strategic Planning for Nonprofits: What’s It All About? Strategic planning for nonprofits is a process that organizations use to help them grow. An effective strategic plan articulates where your nonprofit is now, where you want to go (and why), and how you’re going to get there. Naturally, strategic planning is not limited to nonprofits. Businesses large and small are most effective when they have a written strategic plan in place. 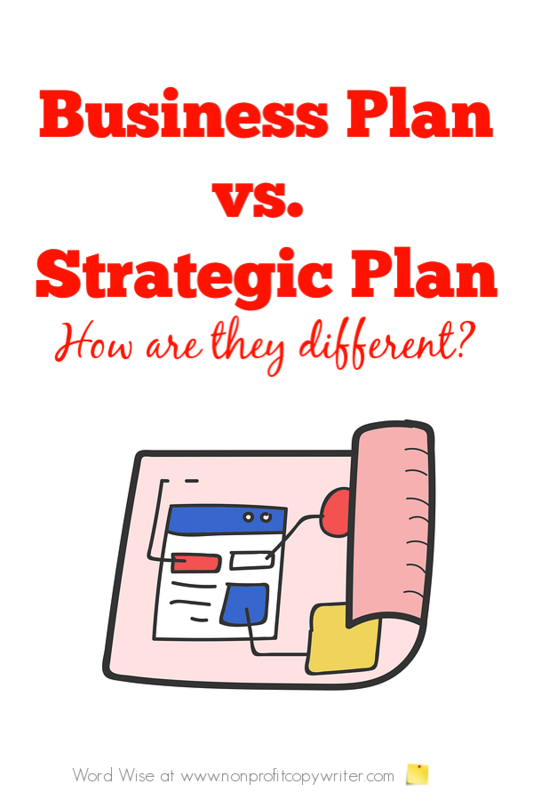 Business Plan vs. Strategic Plan: What's the Difference? Why Is Strategic Planning a Process? Strategic planning is a useful process because it forces you to evaluate why you exist, what you do, how you do it, and your results. Practically speaking, put strategic planning sessions in your calendar. Then when you take the time each year, each half-year, or each quarter to evaluate what you’re doing and how you can do it more effectively, you build on the previous planning session. Why Is Strategic Planning for Nonprofits an Especially Helpful Process? About half of all nonprofits do not have a written strategic plan. Consider the alternative: an ill-defined, vague approach to ministry. Not planning prevents you from accomplishing your goal to fix or alleviate the problem your nonprofit was set up for in the first place. You never stop. Ministry is about people. People and situations change. So should your plan. That depends. Some nonprofits hire consultants to walk them through the process. Others use a professional only periodically – at a critical ministry juncture, during a conflict, when they need an objective voice, or during a capital campaign, for instance. Others undertake planning successfully on their own. The key is to get started. If you find you need outside help, by all means find it. Just get going. How Often Should I Evaluate and Rewrite? At least once a year. In addition, create benchmarks along the way in your annual strategic plan (monthly, quarterly, bi-annually) at which you can evaluate your progress. How Long Is a Strategic Plan? Your plan should be long as your organization needs it to be to reach your goals. That could be one page or it could be hundreds of pages, depending on the size of your organization and its strategy. What I Include in My Strategic Plan? Writing business plan elements: what should you include?